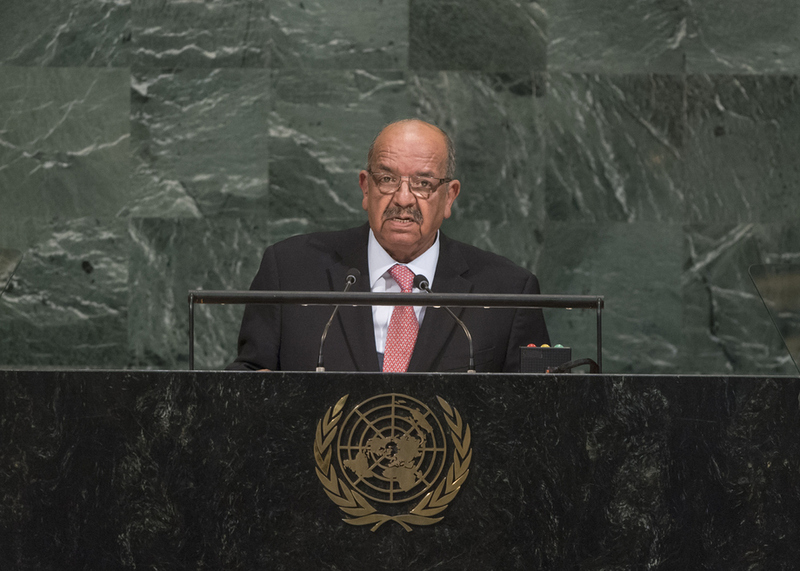 ABDELKADER MESSAHEL, Minister for Foreign Affairs of Algeria, noting that leaders at each Assembly session had decried the “miserable state of the world”, urged leaders not to give up in confronting long-standing global challenges. “We cannot but question our collective conscience over the deep-rooted causes” that had bankrupted global systems designed to protect generations from the scourge of war, he said, calling on the United Nations to help States protect human rights and implement the right to self-determination, while fundamentally reforming its own structures and management. The Security Council in particular suffered from a major historical injustice, namely the absence of African representation in both categories of its membership. Recalling that the Assembly had, for the first time, intervened effectively in the Secretary-General’s selection last year, he said that body’s authority should be expanded. Underlining the importance of sovereignty, independence and territorial integrity, and the primacy of political solutions to conflicts, he said the people of Mali must work “by themselves” to overcome obstacles to peace under the supervision of the United Nations and with support from neighbouring countries. Stressing that the Western Sahara issue fell under the United Nations purview, he said a solution could not be found without allowing its people to exercise their right to self-determination. He expressed hope that the appointment of a special envoy on that issue would pave the way to a peaceful resolution between the parties, Morocco and the Frente Polisario. He also voiced support for the rights of the Palestinian people to establish an independent State. Turning to the many terrorist attacks around the world, he said one result had been the spread of Islamophobia. Algeria, aware of the dangers posed by terrorism and cross-border organized crime in its vicinity, maintained the highest degree of caution both internally and at its borders. While migration could benefit societies, some manifestations of it threatened States. Countries must find common and integrated solutions based on shared responsibilities and aimed at protecting the rights of those involved. Finally, while the 2030 Agenda and the Addis Ababa Action Agenda on Financing for Development were important tools for States to create inclusive growth, the global community must assist them. With that in mind, he outlined a number of national policies aimed at development, economic diversification and improving social cohesion.